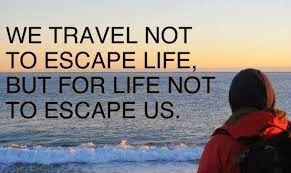 Once again we were in a van hired from Live the Dream Motorhome Hire, as we wait for our own van conversion to be built. 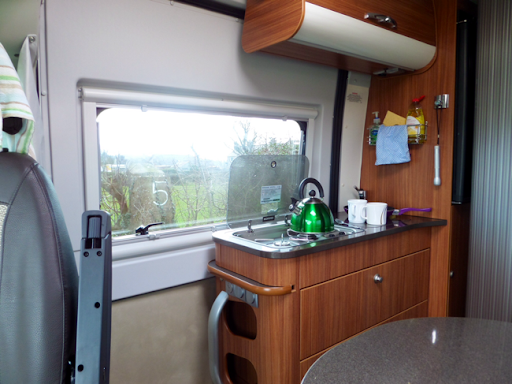 This time it was an Adria Twin SLX - a similar size and layout to our own, so we were looking forward to trying it out. It has a fixed double bed, a mid-ships bathroom, with the shower cubicle built into the central floor area, and a half-dinette up front. 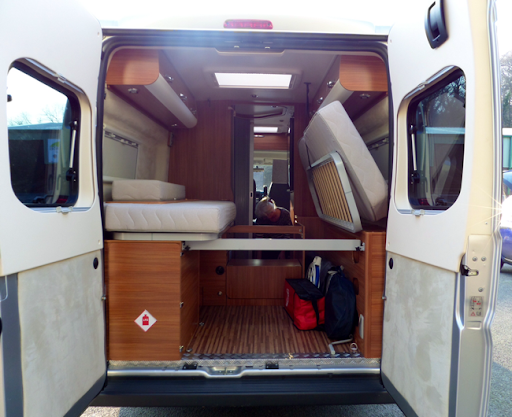 With 2 gas rings, sink and fridge, this is our ideal layout for simple campervan living. Cathy prepared and packed the van on the Friday and, when I finished work, we dropped off her car at the unit and headed off. 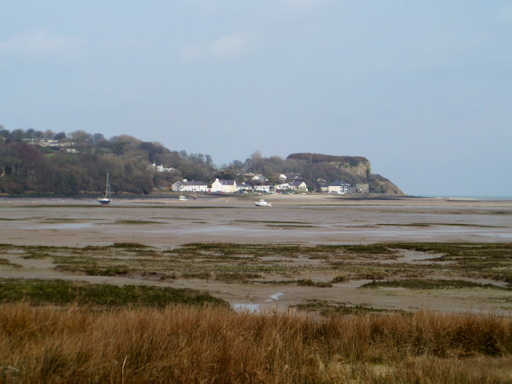 I had booked two nights on a 5-pitch CL site in the village of Pentraeth, overlooking Red Wharf Bay on the Isle of Anglesey. 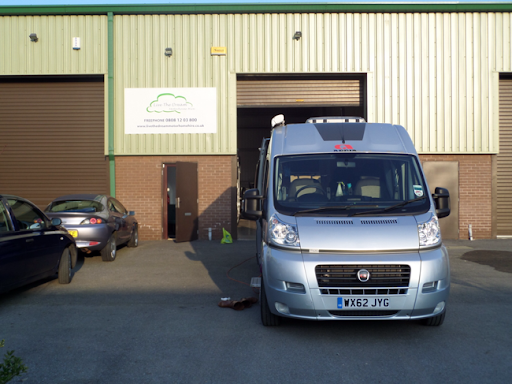 I enjoyed the short 2 hour drive as it gave me a feel for the van - although this one is a Fiat Ducato and ours is a Citroën Relay, they're built in the same factory in Italy and the layouts are the same. We arrived at the site in darkness at about 1940, to find we have the site to ourselves. 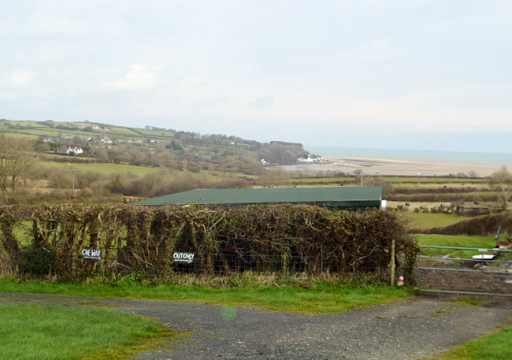 The owner welcomed us and showed us to our pitch, telling me in the morning we'd have a lovely view down to the Bay. I hooked up the electricity while Cathy got the kettle on and, with the blinds closed and mood lighting and heating on, we were soon snug and warm. Cathy had already cooked a chicken before we left, spatchcocked and marinaded by me the night before, and we had this with salad, bread and an organic Rose wine. With the music playing through our wireless 'Jam' speaker, we were soon chilled out. During the night it became quite windy outside, but we remained warm and cozy. Saturday morning came and I was up first (as usual!) to make us a brew. A cooked breakfast followed and we prepared for our walk. Leaving the site we took the unadopted road alongside, which wound down to the edge of the Bay. 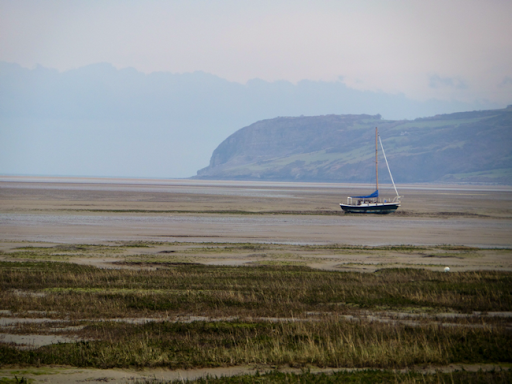 The tide was out so we were able to follow the (sometimes very muddy!) 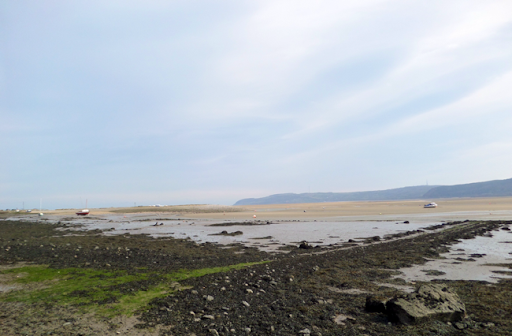 coastal path toward the white buildings in the distance alongside the edge of Red Wharf Bay. 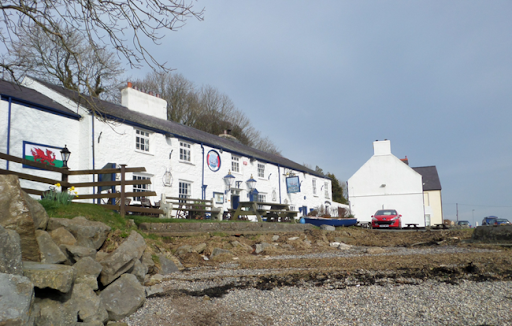 First we came to the Ship Inn, then the Boathouse Cafe, before we headed up the hill and away from the water's edge. 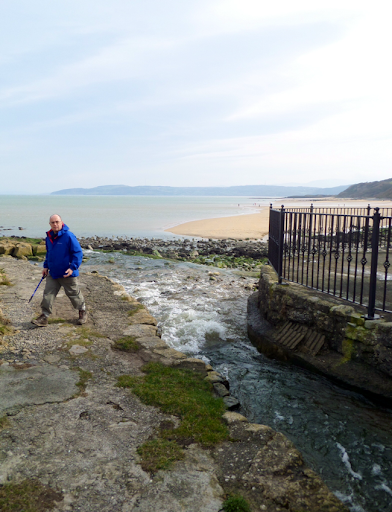 We followed the footpath down to Benllech beach and walked across the sand before stopping at the Bay Cafe - coffee for me, tea and cake for Cathy (of course!). 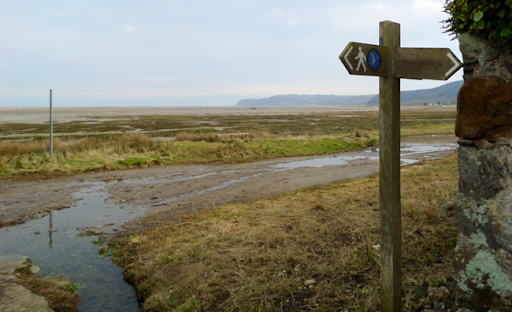 We carried on the coastal path as it headed up onto the cliff top, twisting and turning until we reached Penrhyn. Looking back, we could clearly see the summit of Snowdon which was covered in snow - Snowdon had been snowed on!! Here we cut through a caravan/chalet site (filled with very snooty TCPs and their many 'PRIVATE' signs) before reaching the main road. 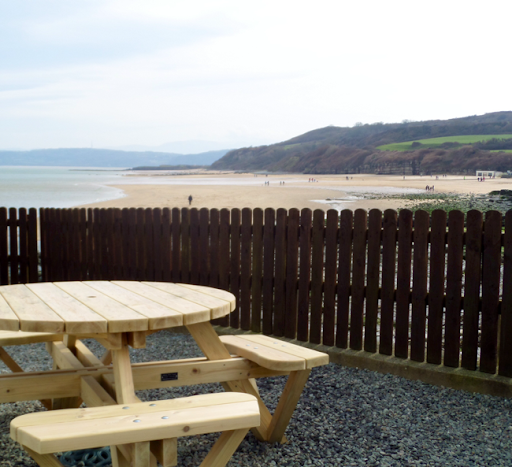 We followed this back, stopping off at Benllech to buy some painkillers for Cathy. I was tempted by the fresh crab, lobster & smoked fish shop opposite but resisted! The walk back along the road was very windswept, and we were glad when we were able to shoot off onto a footpath, leading across the fields, back to the CL and the warmth and quiet of the van. With faces tight and glowing from windburn and sunshine, we had a brew and looked out at the lovely view over the bay. Cathy had a snooze while I read my kindle, before we walked all of about 100m to the Bull Inn for some liquid refreshment. The Bull had Doom Bar on tap - my (and now Cathy's) favourite bitter. It was very strange being in a pub where we were the only native English speakers. From pensioners to the youngest children, they all spoke Welsh, occasionally lapsing into the odd word of English. Back at the van, we battened down the hatches (and blinds) and prepared our dinner, whilst looking out at the bay turning paler, then darker as dusk followed by darkness descended. Both full, with washing up done and the van tidy and locked up, Cathy crashed while I sat with a brew. We have no phone or wifi signal here - even the iBoost couldn't connect us - so our time is spent reading, listening to music (Cara Dillon is playing now) and staring out to sea. I did have a text this morning to to tell me my new Ukelele had been delivered - I look forward to starting my musical learning again. Another windy night (outside!) and the morning brought dark, menacing low cloud that threatened rain. I was up at about 0800 and sat with a brew, reading while Cathy slept on. I always like these mornings to myself in the campervan. If the weather's good I'll sit outside and listen to the birdsong; this morning I could still hear the birds, but had to sift out the sounds of the wind in the trees and hedges. With it being so windy, all the windows and skylights have remained firmly closed to prevent them sailing off towards the Bay. Breakfast this morning was bacon butties then, washed and cleaned up, we prepared to move on. 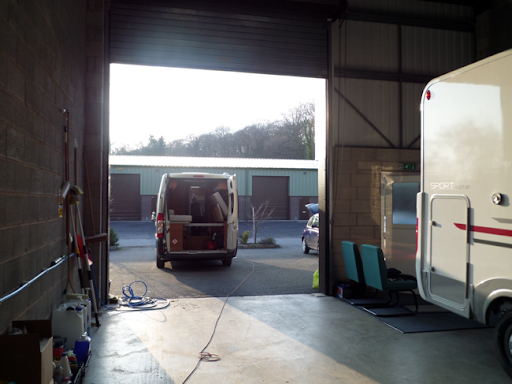 Our usual routine is for Cathy to pack everything away inside the van, ensuring all doors, drawers and cupboards are secured. I sort out the grey waste and empty the toilet cassette, before finally unhooking the electric cable and fighting it back into its round, nylon bag, which always looks to small to take the cable! All ready to go, we had a chat with the owner, thanked her for the stay and headed off. For Christmas last year, Nicola and Chris bought us a year's membership of the National Trust. This was great as we planned to join anyway. Our thinking is that most NT properties are set in lovely countryside, they always have good, large car parks (the majority of which will be free for us) and we'll have free entry to all the houses and gardens. Ironically, one of only two properties that still charge members for parking is Tatton Park, the closest property to home! Cathy is more interested in the houses than me, but we both like the gardens, I particularly like Victorian walled kitchen gardens - maybe I was an under-gardener in a previous life! Looking through the handbook we found a NT property close-by: Penrhyn Castle in Bangor, with lovely views over the Menai Strait from the surrounding parkland. 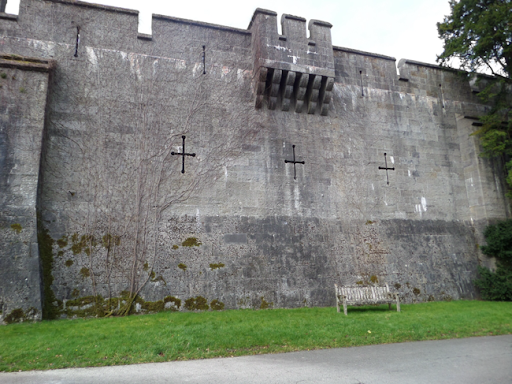 With plenty of space to park, we showed our membership cards and walked up past the castle to walk around the gardens. We liked the bog garden, but the walled area was disappointing. The castle was built in the second half of the 19th Century in a Norman style, but during the reign of Queen Victoria. 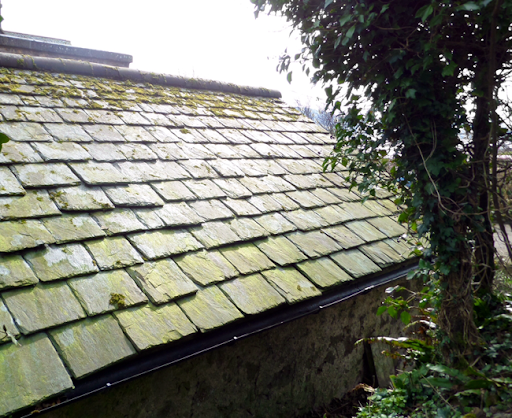 She stayed at the house and refused to sleep in the 2 ton slate bed they had spent 6 months making ready for her visit - don't blame her, it looked cold and uncomfortable. 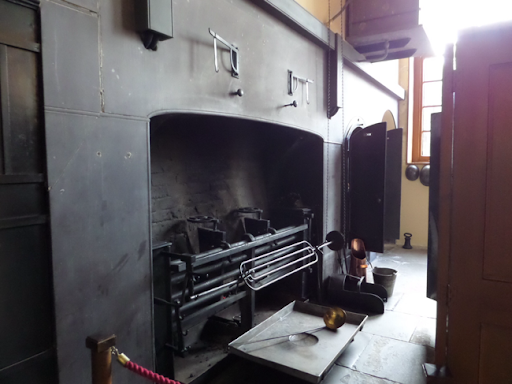 As always, we liked the 'downstairs' area, the kitchens and staff quarters. 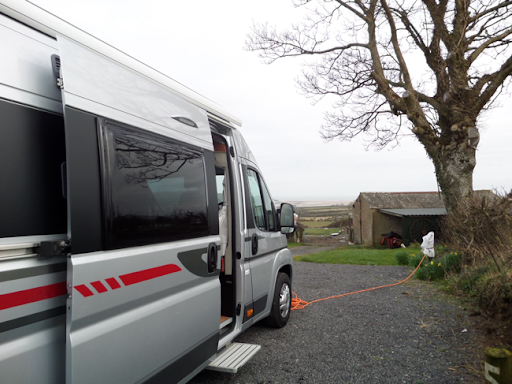 We returned to the van for tea and biscuits before heading back along the coast road to Cheshire. We wanted to stop off on the way for fish and chips but, as with most areas of England and Wales, the Councils make campervans very unwelcome. So we carried on to the unit to clean and return the van. So that was our weekend in Anglesey. With no phone or wifi signal, we enjoyed the peace and quiet. We really liked the van and it reinforced the point that we had made the right decision to go for this size and type. 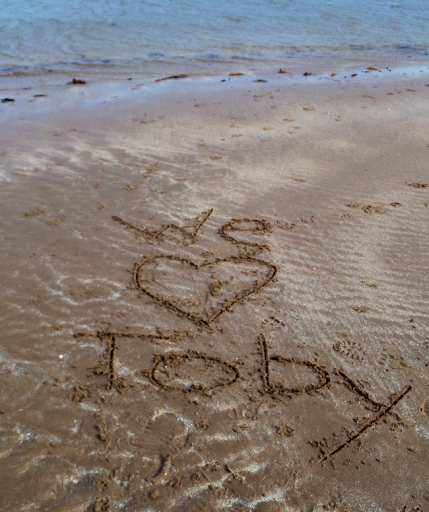 PostScript: Although Toby is gone but not forgotten, he has left a large hole in Katrina and Kevin's lives. 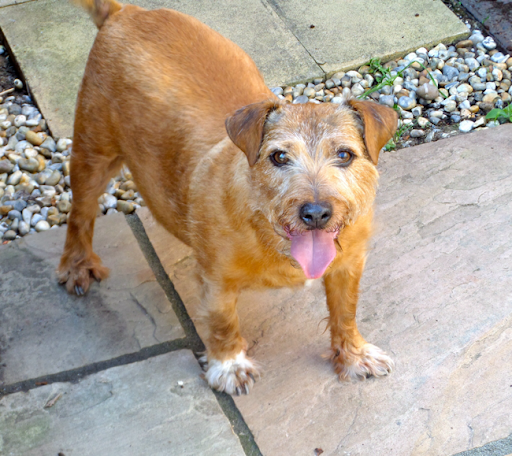 So they returned to the area where Toby was born and found one of his relatives - a 12 week old Norfolk Terrier/Jack Russell cross, who is the absolute spitting image of Toby. He's called Pip, we met him this evening and he is absolutely delightful. He's not Toby, but if he has half his personality and brings as much joy to his owners, then all will be good with the world. 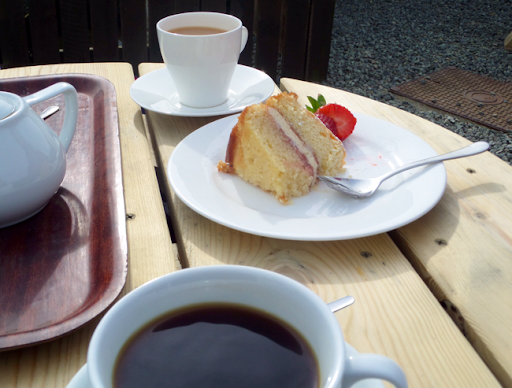 Coffee for me, tea and cake for Cathy! That's what you call a roasting spit!